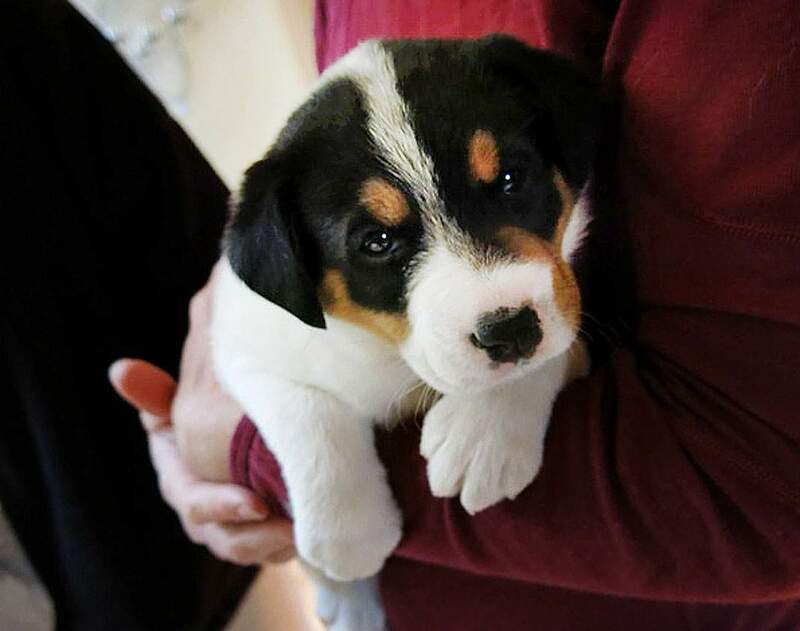 Eva, now nearly 8 weeks old, was rescued from euthanasia but a veterinarian has discovered a heart problem that will prove fatal unless surgery is performed. OK, if it wasn’t obvious before, it’s now undeniable people around here love dogs – and, in particular, one cute puppy in need. As of Thursday morning, less than 48 hours after it started, a fund drive to pay for life-saving heart surgery for 8-week-old Eva is more than halfway to its goal of $5,500. Thanks to a multitude of donations – and a $1,000 whopper – a total of $3,805 had been raised by 10:30 p.m., according to the Let’s Rally for Eva’s Heart website, https://rally.org/f/e8h9jHtW9yj . Eva was among a litter of six found near Chinle, Arizona, at 5 days old. The litter was set to be euthanized before the puppies were transported to foster care in Durango, according to the web page. Eva needs surgery to correct what a veterinarian found to be a fatal heart problem. Surgery to repair the problem – severe pulmonary stenosis and an atrial septal defect – can be done at the Colorado State University School of Veterinary Science. The estimate is $4,500 for surgery and $1,000 more for travel costs and follow-up care. The effort is being done through Lisa Parker’s Puppies, a branch of Dogster Spay and Neuter Program based in Durango.